A new consideration of extraordinary art created by self-taught Black artists during the mid-20th century​. My Soul Has Grown Deep considers the art-historical significance of self-taught Black artists, many working under conditions of poverty and isolation, in the American South. It features paintings and drawings, mixed-media and sculptural works, and quilts, including pieces ranging from the pioneering paintings of Thornton Dial (1928–2016) to the renowned quilts made in Gee’s Bend, Alabama. 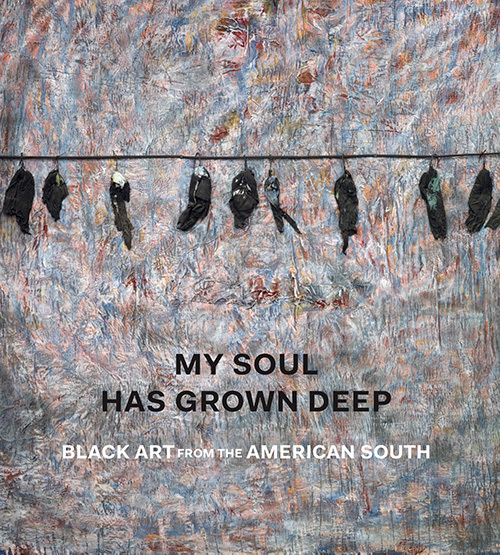 Nearly 60 remarkable works of art—originally collected by the Souls Grown Deep Foundation—are illustrated alongside insightful texts that situate them in the context of rural Southern life, simultaneously revealing their connections to mainstream contemporary art while considering them on their own terms. Art historians Cheryl Finley, Randall R. Griffey, and Amelia Peck illuminate the artists’ novel use of found or salvaged materials and the striking graphic aesthetic of the quilts, while a thoughtful essay by novelist Darryl Pinckney provides the historical and political context of the American South, during and after the Civil Rights era, in which this art is grounded. Each of the works, described and outstandingly illustrated, tells a remarkable story of artists who faced enormous difficulties, and whose creativity and determination produced extraordinary and unique forms of artistic expression.